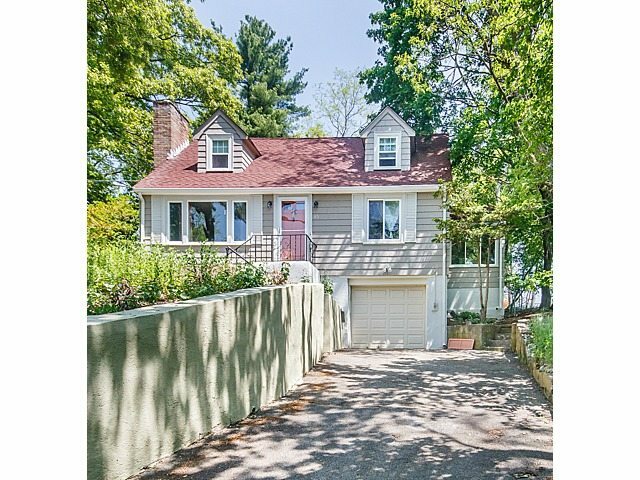 This Classic Expanded Cape Cod style Single family offers privacy and quiet solitude sitting up on the bluff of its 8000+SF lot! Offering an excellent location as you are just minutes away from Route 128, bus stops, the commuter rail & Moody Street! Great Rental Income & History! This Home boasts 4 Bedrooms, 2 Full Baths, Home Office & Sun room! Enjoy entertaining in its Formal fire-placed living-room, formal dining-room and over-sized EIK! Gleaming Hardwood Floors throughout! Windows and Sunshine are Everywhere! Many capital improvements…Newer Roof, Windows, 200 AMP electrical, ultra high efficiency gas boiler with indirect hot water heater, FIOS and multiple Ethernet outlets! Enjoy Grilling on the patio of your huge fenced in yard! Extended Driveway and Drive in garage! It does not get much easier or more affordable to own than this Warm & Wonderful Single Family! A True Value in Today’s Market! Click here for more Photos!